New Relic is one of the industry leaders for SaaS based application performance management. There are now at least 15-25 New Relic alternatives for APM tools in general. Probably about half of those alternatives are available as SaaS APM. New Relic Pricing Forcing You to Look for Alternatives? 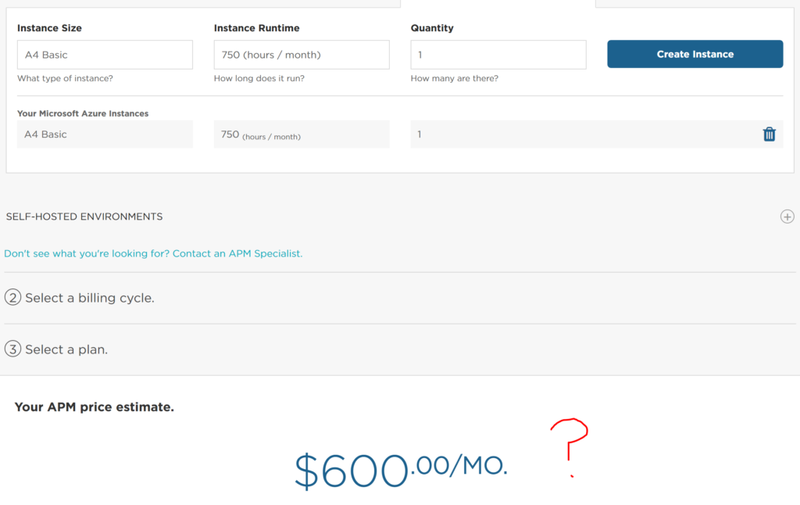 Their current pricing is up to $600 per month??? They currently seem to be forcing everyone to annual commitments or charging exorbitant rates for month to month customers. We have also heard from several customers who were using a free New Relic offering but no longer can. Their product is missing one of the most important things that developers need to help troubleshoot problems and optimize their software. How many times in the office do you hear “send me the logs”? Log files can provide a wealth of information that can’t be known any other way. New Relic’s solution to logging is integrations with other expensive logging products like Loggly, Logentries, and others. Read about using New Relic with Loggly for example. However, these integrations and alternatives don’t tightly integrate logging to code level traces and with today’s async applications, it is virtually impossible to match this data up across data sources. Retrace includes advanced error and log management features as part of our standard pricing. We know how critical logs are and tightly integrating logging in to code level transaction traces provides developers an unparalleled understanding of their applications. Retrace is entirely focused on help developers find and fix application problems as fast as possible. Because of that, developers love Retrace because it is simple to use and easy to quickly identify application problems. New Relic provides a lot data, dashboards, and performance views. However, this can be overwhelming and confusing for developers. Stackify’s user experience of combining code level performance, application metrics, errors, and logs is simply easier to use and understand. 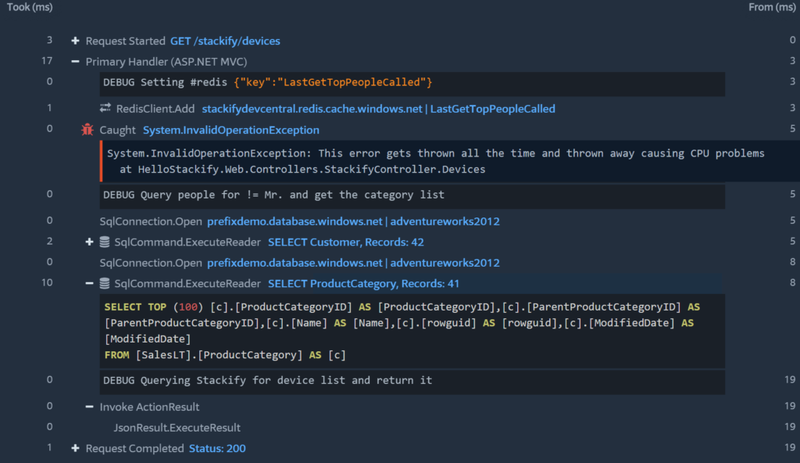 One thing we hear a lot is that Retrace provides more code level details. We have spent a lot of time instrumenting common .NET and Java frameworks and dependencies. Our goal is to help developers understand every millisecond spent in their code. Traditionally APM products have been too expensive to use in QA environments. We would argue that they are needed there the most to find problems before they get to production. Retrace includes special functional designed for QA and special pricing of just $10 a server for non-production. The best time to find and prevent software problems is while writing the code. Prefix is a developer’s best friend for this. Prefix is a lightweight profiler that runs on developer’s workstations to give them details code level tracing. The same visibility they can get in production with Retrace, but instead, they can get it on their workstation. Prefix is an extremely valuable instant feedback loop for developers. We aren’t focused on extracting huge sums of money out of just the largest Global 2000 companies. Sadly, many New Relic competitors are also focused on the larger enterprises only. Our software and business model are designed to reach all development teams of all shape and size. Retrace APM starts at $25 a month and pre-production is only $10 per month. Stackify’s Prefix and Retrace APM products are used by over 4,000 companies all over the world. Our products were designed for developers from the ground up, and they love them. If you are looking at New Relic alternatives, make sure Retrace is on your list. 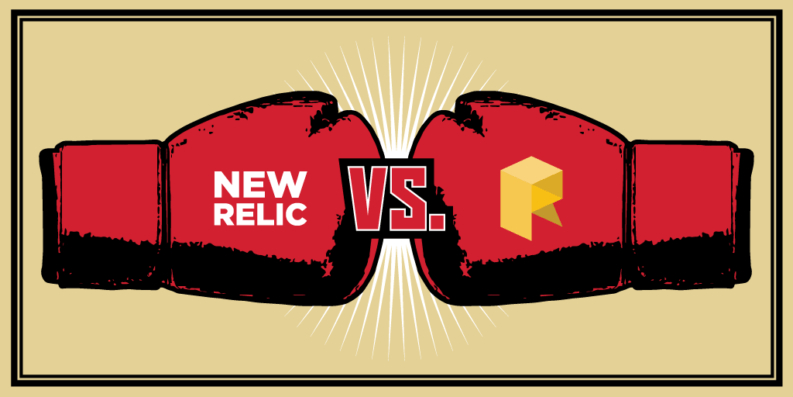 To see a list of more New Relic competitors, check out our list of APM Tools.